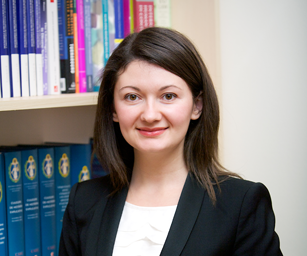 Sorina Macrinici is an attorney and a researcher working on improving the Moldovan justice sector and combating discrimination. 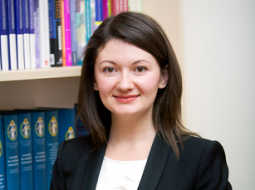 Starting with January 2018, Sorina is the Director of Civil Society and Democracy Program at the Legal Resources Centre from Moldova. Previously she had the position of a legal officer, working on the justice sector reform, reform of investigating judges and combating discrimination in the labor, education and social assistance fields, promotion of an enabling environment for civil society organizations. Sorina has substantial experience of working on human rights issues. Since 2006 she has been involved in human rights litigation domestically and before the European Court of Human Rights. In 2010 Sorina served an internship at the European Court where she dealt with inadmissible cases against Moldova. In 2011 she was actively involved in reporting human rights violations and advocacy within the Universal Periodic Review of Moldova. Sorina was awarded a Muskie scholarship and earned her LL.M. degree in International Human Rights from University of Notre Dame, Indiana, USA in May 2013. Between June and August 2013 she served an internship at the Maricopa County Superior Court in Phoenix, Arizona, where she was engaged with a wide range of court administration issues. Sorina is fluent in Romanian (native), English and Russian.